Located in Banbury, The Carpet & Flooring Company is a family-owned business and a local supplier of carpets for the Oxfordshire area. If you have a particular type of carpet in mind, call in to see us at our showroom today or call our friendly advisors on (01295) 261100. Our showroom has many different displays available for viewing. To ensure any products that you choose through our company are entirely suitable for your home, we provide free initial consultations and a free measuring service. 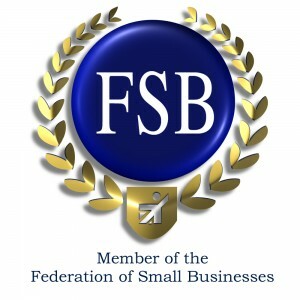 Customers in Oxfordshire can also have carpets professionally fitted by a skilled and approved installation team. 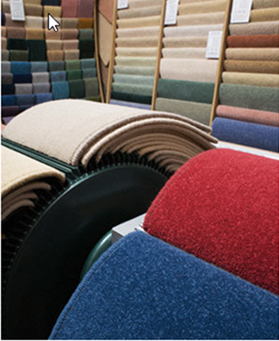 The Carpet & Flooring Company carry a huge product range that includes carpets from the industry’s most revered manufacturers. 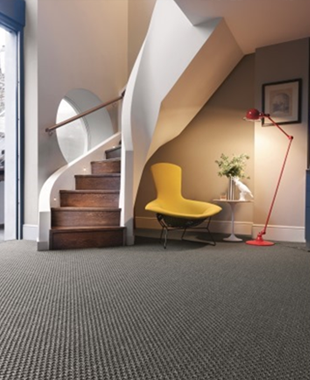 From deep luxury piles for living rooms and bedrooms to hardwearing carpets for the office or workplace, we have the products available to meet all domestic or commercial requirements. 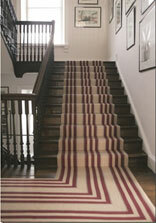 We are one of the only flooring companies in Oxfordshire to supply Roger Oates stair runners. 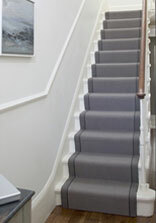 Roger Oates specialise in runners for stairways and hallways, producing hand-finished woven runners that are manufactured using traditional processes. Narrow width runners comes in a choice of Flatweave or Wilton designs. 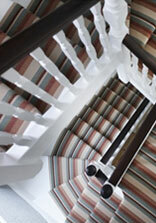 We firmly believe that Roger Oates stair runners provide the texture and dexterity needed for professional use on any straight or winding stairway. If you would like to find out more about our Roger Oates Collection, or if you would like to view the current range we have available, call in to see us at our Oxfordshire showroom today.